This section of MATLAB source code covers SC-FDMA basics and mention basic matlab code. 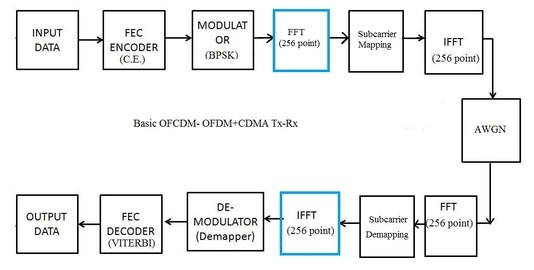 SC-FDMA transmitter incorporate FFT module before subcarrier mapping. The reverse is taken care in the receiver part of SC-FDMA compare to either OFDM or OFDMA technique. Following is the block diagram of typical SC-FDMA system. It is widely used in LTE UE in the uplink portion. 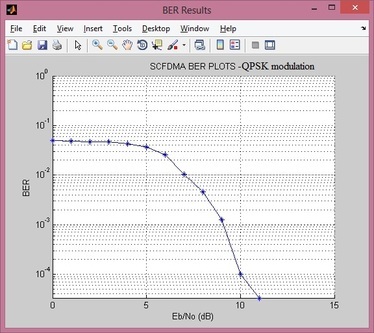 The matlab code of SC-fdma incorporate QPSK modulation scheme and 256 point IFFT and FFT. Download SC-FDMA matlab source code files.